I knew this would happen. An addiction is born. They are small. They are collectable. They are interchangeable. They are cute. Meet the line of toys made by Good Smile Company known as Nendoroid. Based off anime, manga and japanese characters, the Nendoroid takes the super deformed style (big head, tiny body) and makes it into a posable figure. I had been wanting one for months and I finally got two at once because I’m greedy like that. What struck me first was the strong smell of plastic right up my nose. However following that I was simply blown away by the amount of detailed craftsmanship and intricacies that go into these figures. For such small things there is so much to look at. All zips, ribbons and buttons are present and accounted for, no little aspect of the character is left out. Each comes with a variety of faces, arms, legs, hands and accessories. Not only can you change then up as you like, they are also fairly poseable and built out of fairly sturdy stuff. Originally I was quite delicate with them, but they can handle and bit of rough and tumble. This is not saying that they are action figures, but they can handle a bit of stress. I already have a laundry list long of all the other characters I want to collect. They look adorable in their little poses on my bedside table or book shelf. I’m addicted – and I don’t care. 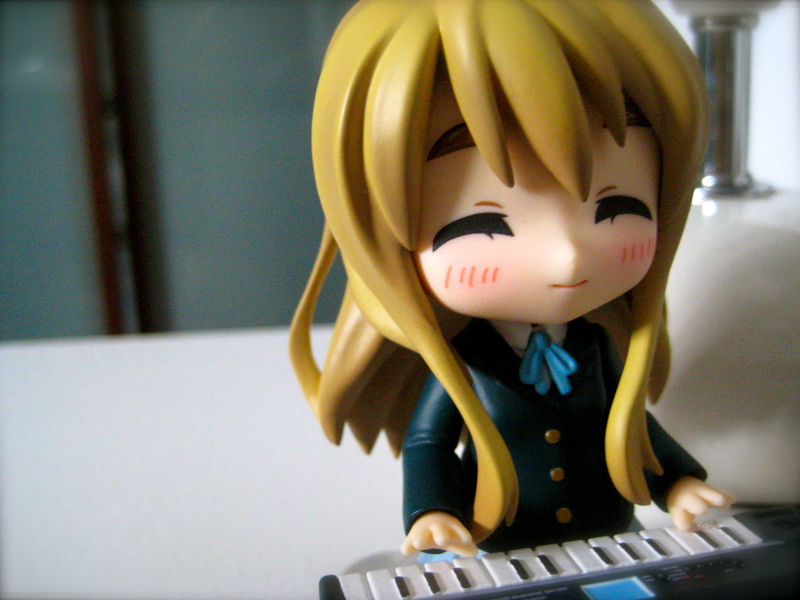 If you like japan and you like cute, you have to own a Nendoroid. 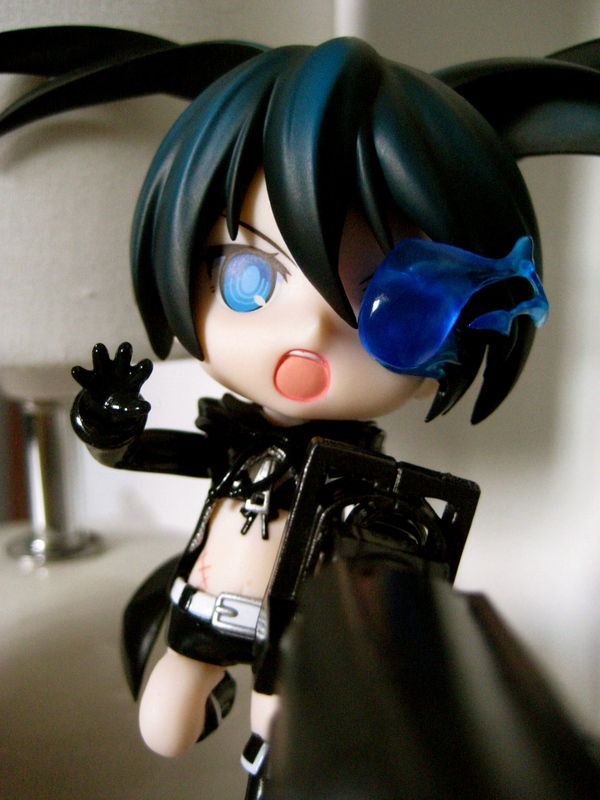 This entry was posted in Geek and tagged Anime, Black Rock Shooter, BRS, Figure, Good Smile Company, K-ON!, Manga, Mugi, Nendoroid by Jonathan Day. Bookmark the permalink.